My heart aches every time I hear of a wolf killing. I look at my rescue mutts and think of their wild ancestors. I relate to wolves as one of the last vestiges of our wild landscape, a protective barrier against the onset of homogeneity. We need them out there as part of our natural ecosystem, chasing down elk and deer to keep populations in check. They were created for a purpose – to play a role in our ecosystem – as one of nature’s top predators. We need wolves in our environment the way we need our untamed wilderness. Healthy biodiversity reflects psychological wholeness. Historically, people have affiliated wolves in European and American history with maliciously evil and darkly demonic forces. They have been vilified, marginalized and relegated to the wild fringes of nature. Their wild howls and natural displays of untamed, uncontrollable vibrancy have been in direct contravention to our understanding of nature – or lack thereof. Wolves possess keen hunting prowess, form intense social bonds. Their displays of dominance and aggression are all in instinctual alignment with the natural forces. The Nez Perce Tribe and other native cultures have learned from them – following their hunting rituals, observing their social pack behaviors. They are a key part of a natural ecosystem, without whose presence deer, elk, moose and bison populations explode – bringing along with it diseases inherent in uncontrolled populations. Men have stepped in to hunt where wolves left off, jumping on ATVs and into pick-up trucks to control what wolves do naturally. As the psychological disturbance triggered by their presence increased with each howl, so did the bullets and the poisons. The Western landscape was purified and tamed in the name of civilization. Wolves by their intrinsic nature had disturbed the conscious intellect of the more unsettled, unaccepting and immature. And yet, these well-behaved wild and pious four-legged citizens were only obeying, as Carl Jung once said, the laws of nature. We judged them – and continue to – according to our human standards – anthropomorphizing them. Shame on Little Red Riding Hood. So went the wolves and on came our civilized culture. The last wolf in the West was taken from its den and shot in Yellowstone National Park in 1933. It would be sixty years before howls were heard again. We must have thought wolves deserved a rightful place in our landscape again – the U.S. Fish & Wildlife Service restored the once-endangered Gray Wolf under the Endangered Species Act in 1995. Wyoming, Idaho and Montana all saw the placement of thirty breeding pairs into each of the recovery areas. Since then, populations have recovered. Today, conservative estimates report some sixteen hundred wolves living in the West – Idaho, Montana, Wyoming, parts of Washington and Oregon. They are dispersing, forming new packs and establishing new territories. A few are even trotting into Colorado. 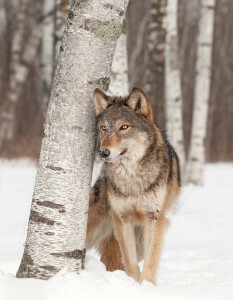 The danger for wolves and their recovery is far from over, however. The problem is this: As wolves reestablish in the ecosystem, federal and state management is reminiscent of early Twentieth Century anti-wolf policies. 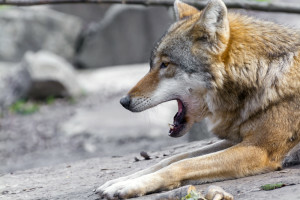 Over 4,200 wolves in America have been shot, snared, poisoned or gassed, chased down by federally-funded helicopters and airplanes, according to Predator Defense (http://www.predatordefense.org/). Since their reintroduction, they were viewed by locals as an agent of federal intrusion upon the states, and radically became a part of the Tea Party Movement. According to wolf advocates, many ranchers cannot wait for the incoming Trump Administration for federal-sanctioned permission to wipe out even more of them. The appointment of Alabama Senator Jeff Sessions will be as much a death sentence for dozens, if not hundreds, more wolves should his nomination be confirmed. We not only need wolves in our ecosystem to help maintain genetic diversity, but for the contribution they make toward a healthy balance of all species. Grizzlies, fox and ravens scavenge on wolf-killed carcasses. Bison herds get healthier. Elk and deer populations decrease — making them more healthy. Economic tourism improves – the Lamar Valley in Yellowstone chief among the areas for an opportunity to glimpse a gray wolf in its natural habitat. What are we supposed to do now? At a time of unprecedented political upheaval and the threat of American democracy crumbling at the hands of a radically controversial President Trump and his extremely conservative cabinet members, shouldn’t we all be more concerned that the radical Republicans are repealing the only affordable health care we’ve known in our lifetime? And what of all that White supremacy and blatant outbursts of racism? We should care about protecting the wolves because they represent an intrinsic component of our democracy. Our independence is interlaced with their right to exist as naturally wild and healthy members of our diverse ecosystem. Their wild tendencies symbolize our own untamed aspects, psychologically, emotionally and spiritually. Their sheer existence gives rise to the complexity that makes up our diversity without capitulating to the homogeneity threatening to vanilla-ize our landscape. Wolves possess an inherent right to exist, separate from any value or benefit to others. They are visual reminders of a healthy, wild and intact ecosystem, not a commodity to be managed by some vested political appointee bought off by corporate interest in the name of building oil and gas pipelines, nor an animal subject to our warped political psyches in the battle for sovereignty. Wolves were returned to the lands from which they were extirpated back in 1933 as a way to right a wrong committed in nature. To allow the states of Idaho, Montana and Wyoming – or the federal government – to institute more policies effectively eradicating them, or declining protection – is to turn our back on them when they need us the most. Letting the wolves fend for themselves against the extremists itching to pull the trigger is an act of cruelty the American landscape and its ecosystems can’t afford. If we turn our back on wolves now, what aspect of our democracy will be next, in the quest to sterilize our remaining wild landscape?